March | 2014 | Firm-Donkey Fitness "Fitlosophy"
Your DNA & Your Health? I often hear people say, “Cancer runs in my family” or “My father had cancer, so I may get it too”. Then you hear that everyone has cancer cells running through their body so we all need to fight it with good nutrition to prevent them from turning the cancer genes on. So which is it? Are you destined to get cancer because it’s passed down to us in our DNA; or does your lifestyle determine your fate with the deadly diseases? Several years ago, I had an Aunt who would refuse to forgive people for things that offended her. She would hold grudges that would ultimately destroy relationships. There was one family member, in particular, that I could remember that she held a life-long grudge. She continued to speak ill of that person and years later would continue to reiterating the offense as if it had just happened yesterday! It was like she was re-living the event over and over again. This went on for years even though this family member tried to reconcile with my Aunt. Not too long after, my Aunt developed lung cancer and died. My father was an alcoholic and a heavy smoker since he was a young boy. I never saw him eat a nutritious meal nor exercise a day in his life. I only recall him eating once when I was a child by sticking a hotdog on a fork and placing it over a flame on the stove. He ended up dying of colon cancer at the early age of 49. For two years prior, he thought he had hemorrhoids before being diagnosed with colon cancer. What’s strange about his cancer is he seemed to function normally with some discomfort until he knew he had cancer. It only took weeks after his diagnoses for him to loose an enormous amount of weight and pass away. I believe based off of my own studies of cancer and my wife’s diagnoses with Breast Cancer, that had I not made the conscious effort to change my lifestyle by not repeating the same bad habits that my father modeled, I, too, would more than likely in time would be battling the same exact disease he did! Because of his choices, I am at a higher risk of getting colon cancer. I will not get it, however, because I have made lifestyle changes with my diet, exercise, and stress management. Making wiser choices daily in my life will be the difference between me and my father. Here is why… I would argue that it is your lifestyle which turns on (or expresses) the cancer cells or mutation. Let me be clear to say that while there does exist predisposing genes that are passed down from our family tree, they are expressed or turned on only by certain conditions in our lifestyle, like poor diet, stress, environmental toxins, or a sedentary lifestyle. However, being aware of our predispositions can be very helpful. It can direct our understanding of how to personalize our lifestyles in those areas. It is very interesting to know that we can’t do anything to change our genes; however, we can change their expressions. It is those genetic expressions that can then be passed down or inherited. It’s like having two sentences that are exactly the same with the exception of a comma someplace in the sentence which then changes the meaning. (Example: Let’s eat Grandma Vs. Let’s eat, Grandma). Both comments say two separate things but are exactly the same. What makes the difference…the comma and that’s the trigger that changes our cells/DNA. I am half African-American and most of my family on that side of my family tree struggle with diabetes and heart disease. If you look just at the layer of what “Family DNA” is…it’s not what you are born with but rather how they (your parents) lived while you were being created…your birth started at conception in the back of that old hatch back car. So the lifestyle, drugs, food, alcohol, worry, negativity, violence etc…all became a part of your DNA at conception. But wait! Did you catch the words that have nothing to do with the physical but the mental? Yes… worry and negativity impact your DNA…just like the example with my aunt who wouldn’t forgive. There are studies that indicate that even though you may have a predisposition to a cancerous disease, you alone can choose through your healthy lifestyle AND positive emotional signaling to send different messages to your DNA. If your grandfather worked in a factory exposing himself to a lot of chemical toxins and he ends up with a cancerous disease from his environment, this mutated gene is then passed down from generation to generation (like the comma in the above sentence). The way that the gene is now functioning (or expressed) will then make you at greater risk of also having that same disease. This, however, is by no means a guarantee! During the 1990’s, three Nobel laureates in medicine advanced research revealed the primary function of DNA lies not in protein synthesis, as it was widely believed for the past century, but in electro-magnetic energy reception and transmission. Dr. Leonard Horowitz states, “Less than three percent of DNA’s function involves protein manufacture; more than ninety percent functions in the realm of bio-acoustic and bio-electrical signaling”. There are 64 codes available in our DNA structure that are made from only 4 elements; Carbon, Oxygen, Hydrogen, Nitrogen. Out of these 64 codes, we only have twenty of them activated by our DNA structure. Basically, there are 64 possibilities but only 20 of them are turned on. There is a switch that turns these codes on and off. The switch that appears to turn these codes on are our emotions. These discoveries are the first of its kind and studies are showing that our emotions are directly linked to human genetics. New discoveries in quantum physics and other scientific studies show that the changes in our emotions can change our DNA. The new discoveries have found that DNA acts as an antenna for cellular regulation – it’s a receiver and transmitter of Photons, light, and Phonon sound for cellular-up regulation. Think about how many of us grew up with parents who drank beer and ate all of the American staple foods like chips, pizza, and hot dogs. We also may have had divorce, negative environments and experiences which create a cellular change in our bodies. We were more likely to follow in our parents footsteps and do the same things they did/do if we don’t recognize the habits that we take on. This is also true to how we view ourselves, money, stress, worry…(Negative Nancy syndrome). 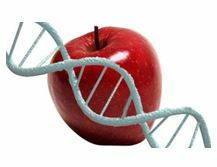 That is the DNA that is killing us…the DNA of bad nutrition, bad habits and bad emotions. In conclusion, I am not trying to be insensitive to those who have loved-ones struggling with some type of illness. I know there are some who have illnesses that just are not as curable at birth and others who get any stage cancer and struggle to beat it. I am not saying everyone has the power to avoid such diseases. BUT for some of us, it is not the genetic predisposition you were born with that determines your fate with cancer or any other diseases that run in your family. It is how you choose to live your lifestyle with the gene pool you were handed down! Disclaimer: The techniques, strategies, and suggestions expressed here are intended to be used for educational purposes only. Julian Sado CEO of Firm-Donkey Fitness; Information within his articles are not rendering medical advice, nor to diagnose, prescribe, or treat any disease, condition, illness, or injury. It is imperative that before beginning any nutrition or exercise program you receive full medical clearance from a licensed physician. Julian Sado and Firm-Donkey Fitness claim no responsibility to any person or entity for any liability, loss, or damage caused or alleged to be caused directly or indirectly as a result of the use, application, or interpretation of the material presented here.